GJB Estates Ltd is a privately owned property investment and development company specialising in the letting and management of it’s own properties. The company is exclusively owned and operated by Gordon Brodie, a Chartered Surveyor with some thirty years property experience. He deals with the development, operational management and maintenance of a portfolio of mixed-use commercial and residential properties. 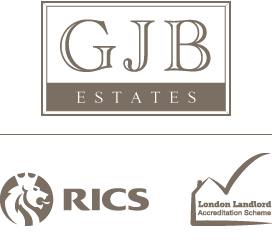 GJB Estates Ltd provides good quality and well-maintained residential properties for professionals and is a member of the Royal Institution of Chartered Surveyors and the London Landlord Accreditation Scheme. We are also well positioned to be both flexible and diverse, and are able to consider expanding our portfolio with new investment and development opportunities. Our experience and structure enable us to make quick but well informed decisions. Since 2010 Gordon Brodie has acted as a consultant for Charterhouse Standard Holdings Ltd that has predominately focused on purchasing portfolios of residential properties in London and the South-East. His role has involved the asset management post-completion; ensuring that the properties held are managed properly in accordance with their investment strategy, as well as being responsible for the disposal of over £65,000,000 of assets.